Dairy milk e liquid form The Vape Shop is a smooth dairy milk flavour full of creamy milk goodness. Fresh clean and yummy. What Is Dairy Milk Juice Like To Vape? When you inhale this ejuice flavour you will taste the fresh creamy flavour of dairy milk. If your a yoghurt or cream fan then you will love this flavour. The taste is reminiscent of the old school days creamy milk served before playtime. It's a very smooth and milk-rich vape experience and on the exhale you can taste the dairy cream milk tantalise the taste buds as it leaves your mouth. The aroam created by the exhaled vapour is a pleasant milky one. 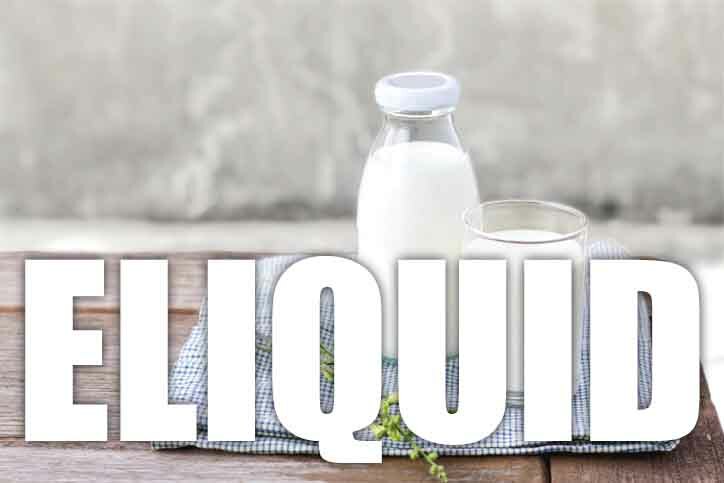 At The Vape Shop all our e liquids; including Dairy Milk, DO NOT contain: - Diacetyl, Acetoin, or Acetyl Propionyl, refined sugars, protein, genetically modified ingredients, animal ingredients of any kind, preservatives, sweeteners, or colours. Is Vaping Dairy Milk Safe For Vegans & Vegetarians? The answer is yes. We make sure all our drink blended e liquids are gluten free and suitable for vegetarians, and vegans. You can rest assured when purchasing this e liquid flavour that it contains only the purest ingredients.